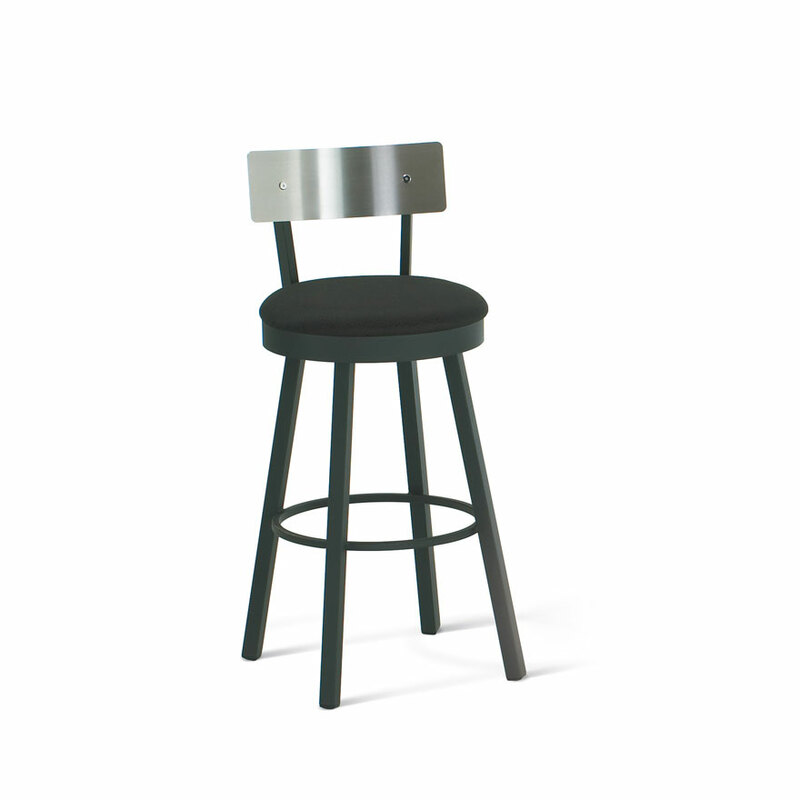 Unlike their wooden cousins, metal barstools do not typically have weight restrictions. 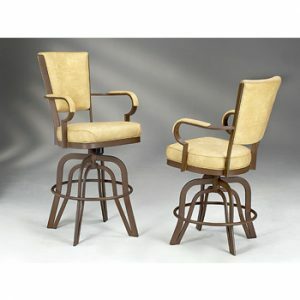 They are extremely versatile in terms of style, too. 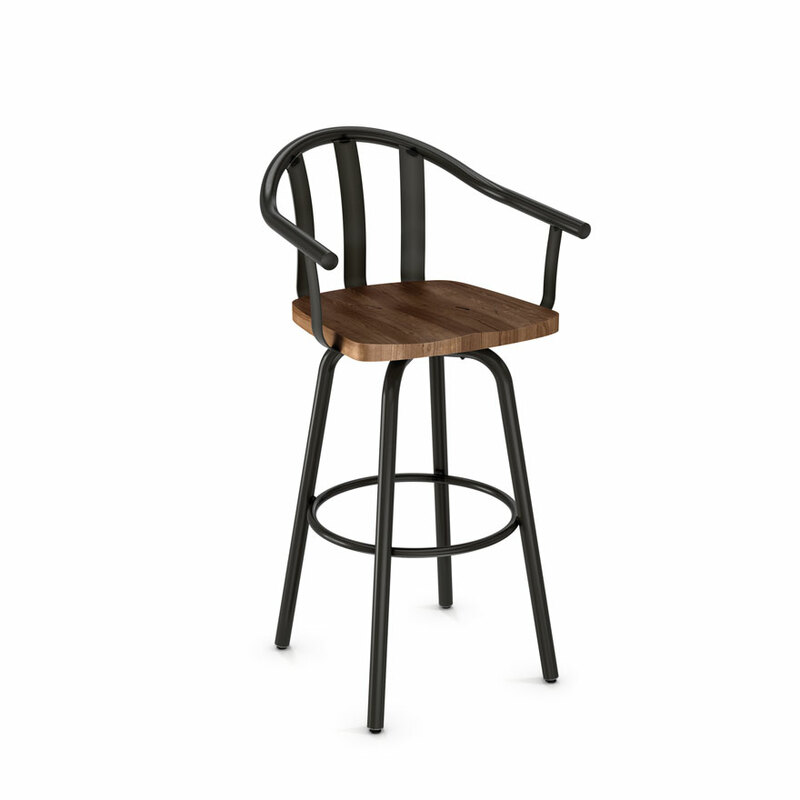 In the metal barstool category, you can find industrial designs, contemporary, modern, traditional styles, and the list goes on. 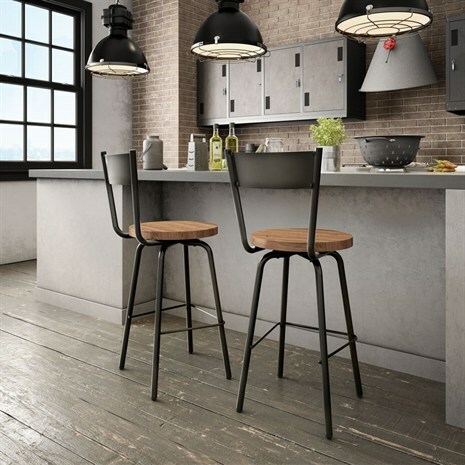 Having barstools constructed of metal, rather than wood also means that the legs can look like new for a lot longer, particularly if you have children and / or pets. 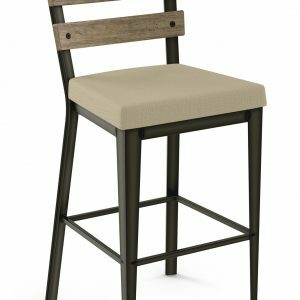 Metal barstools typically come with the footings capped with nylon floor protectors and while durable they aren’t difficult to move around. 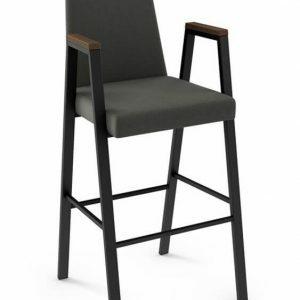 You can buy them with and without swivel and tilt options and they can be stationary or on casters so that they can be rolled and used at a desk, etcetera. 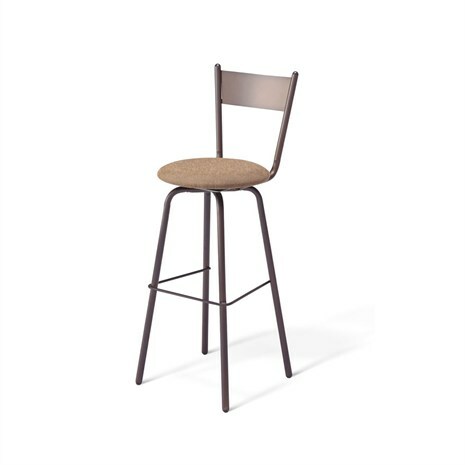 We sell metal barstools as well as barstools constructed of metal and wood. 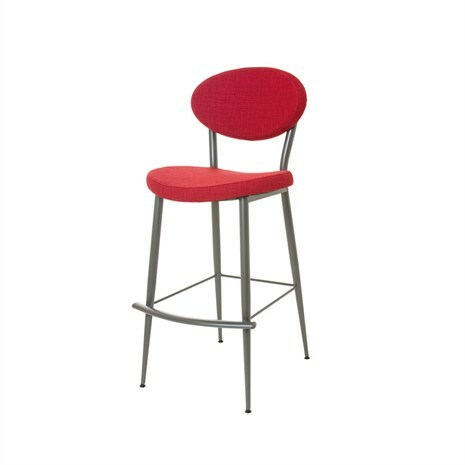 Metal barstools can be backless, low back, high back, with arms, armless, with footrests, and so forth. 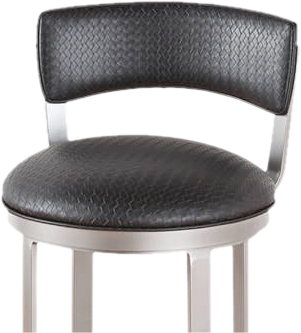 We sell 17-18-inch vanity height, straight up to 36 inch extra tall barstools (with everything in between). 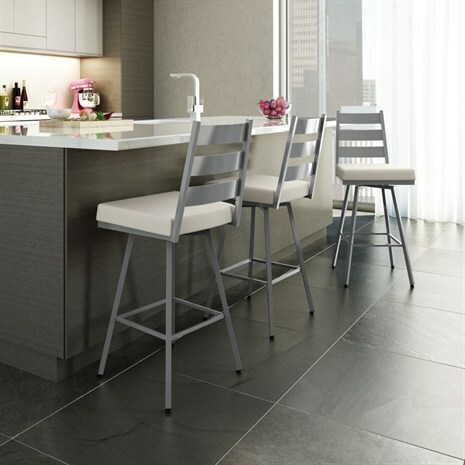 We also sell adjustable height options and custom bar stools. 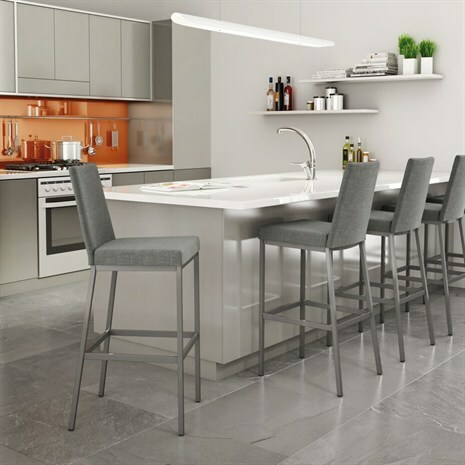 Amisco and Trica are popular choices in brand names of metal barstools and we sell our own metal seating options under the Alfa Designs label as well. 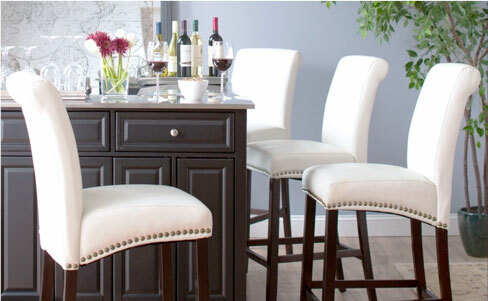 Buy barstools online from Alfa Barstools and save big. 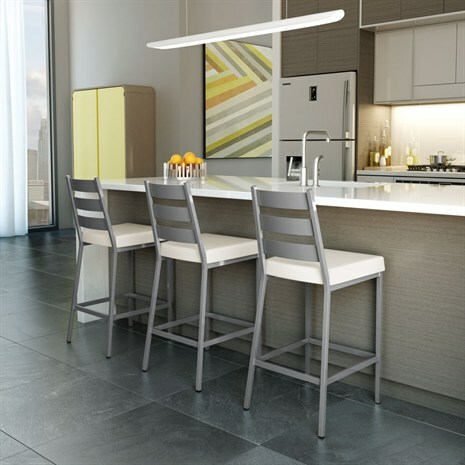 Beyond cost savings you can feel confident because you’ll be buying your counter or bar seating from a company with more than 25 years of proven track record serving commercial and residential customers throughout the continental USA. 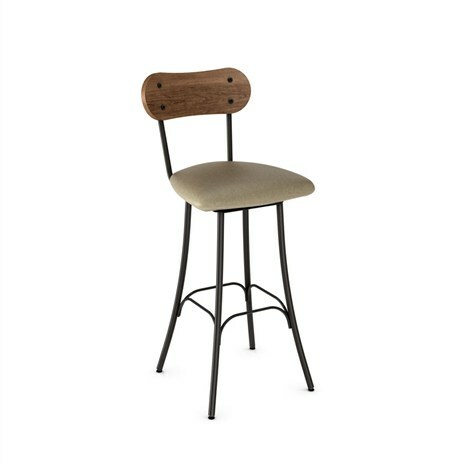 We sell metal barstools, wood, aluminum, acrylic, brushed steel, and more to restaurants, bars, casinos, golf and country clubs, and more. Want something customized? 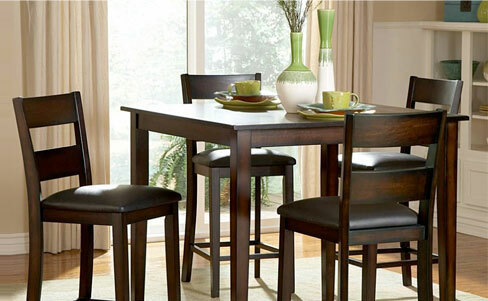 We can help for residential customers or those who want custom restaurant tables and chairs. Need design assistance so that you can pick the right height, the right fabric or back style, and so forth? We can provide personalized attention and assistance. Call us for help with no obligation.